Relatively unexplored by visitors from outside Europe, Corsica is a Mediterranean island steeped in a rich food culture. 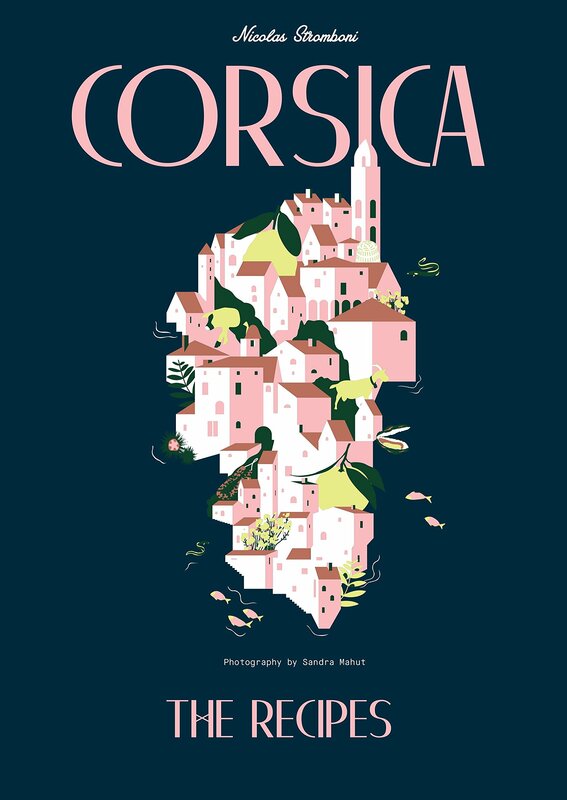 With incredible geography – from the mountains to the plains and the stunning coastline – Corsica has long been a well-loved idyll for those in the know. It is also home to a unique cuisine – blending the best of French and Italian food – that respects its home-grown produce: citrus fruits, grapes, chestnuts, cheese, herbs, fish, seafood and charcuterie. This beautifully photographed book celebrates all that is Corsican – the people, the geography and, most importantly, the food. "Blending French and Italian food, this cookbook explored the Corsican island cuisine, collecting 80 recipes and providing portraits of those who live and work there and those instrumental in maintaining Corsica's rich food culture." "Yes, I know, Corsica is a French territory, but only because they robbed it from the Corsicans, who themselves freed it from centuries of Genoese rule. So, the island is much more Italian in its cooking than it is French, as Nicolas Stromboni, a wine merchant based in Ajaccio, clearly shows in a volume that begins with charcuterie like coppa, prisuttu and pancetta. Vegetables figure largely in Corsican cooking, as in lentils with figatelli sausage, and the cheeses of the region are highlighted. Corsica is an island, so seafood abounds in wondrous dishes, like fish soups and mussels with peas and artichokes. Pastas, however, are few--cannelloni with whipped brocciu cheese is very local. And, once you make the very simple Corsican cheesecake called fiadone, it will become a treasured favorite." Renowned author, master sommelier and epicurean Nicolas Stromboni heads the largest wine cellar in Corsica, which in October 2011 was voted best wine shop in France. A passionate ambassador for Corsican produce, Corsica: The Recipes is Nicolas Stromboni's first book.